What you put in your body is the most important aspect of your health. That's why we choose only the highest quality products that meet our strict exclusionary ingredient policy. We read the labels for you, making sure everything from Healthy Surprise is good, and good for you. 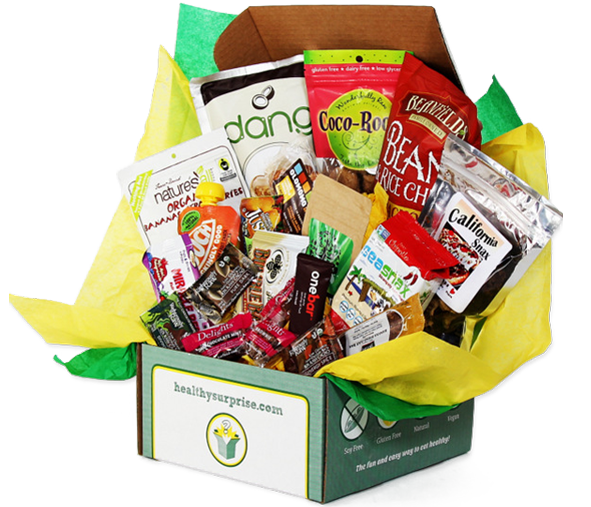 You have probably heard about our world famous snack box subscriptions. But did you know we carry other products that meet our high quality standards? Personal care items from The Dirt that are free of all the weird chemicals you'll find in conventional products. All kinds of delicious and healthy snacks from some of our favorite snack vendors. Come back often and see what other goodies we've got in stock!